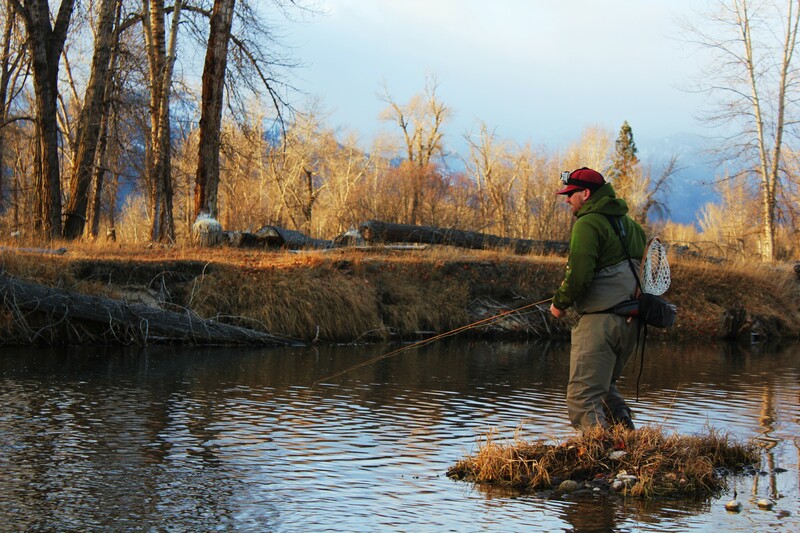 This past weekend, I met up with two of the members (Zach and Stan) of the False Casts and Flat Tires gang to do some winter fishing on the Bitterroot. The Bitterroot and I have always had a somewhat rocky relationship. While I had solid, productive days on the Bitterroot, I have never had "one of those days." That is not the case for the boys over at FCFT. They seem to have the Bitterroot dialed in. So, I felt pretty confident about getting into some fish when we hit the water on Saturday morning. Alas, the weather schemed against us. After consistent air temperatures in the low to mid 40s for most of the previous week, the air temperature dipped into the low 30s. As a result, the fishing was a little slower than desired. 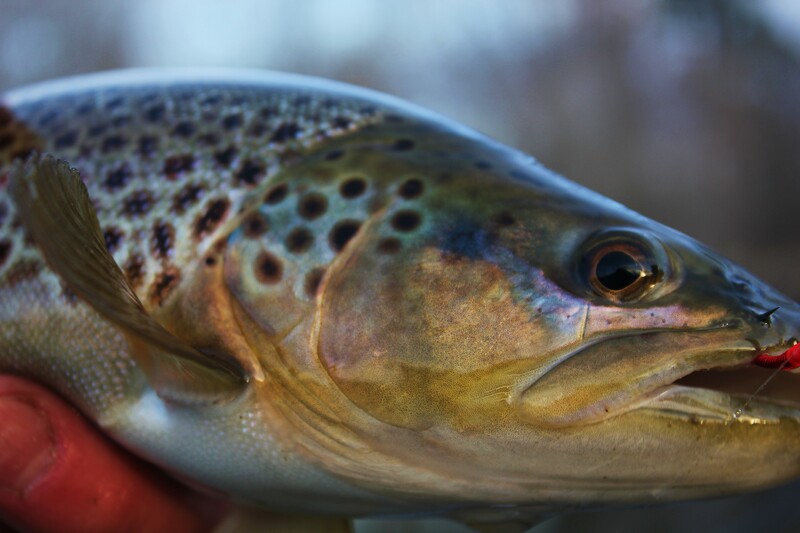 As it is with winter fishing, you have to find where the fish are stacked up and feeding. We never really found them. We found some whitefish, but the trout were few and far between. While our efforts were not quite rewarded, it was a great day to be on the water. Zach is always producing great content over at FCFT. His skills with a DSLR make me want to get acquire some talent and grab a DSLR and start snapping photos. All of the photos in this post were taken by the FCFT crew. We are planning on getting back out on the water this weekend. 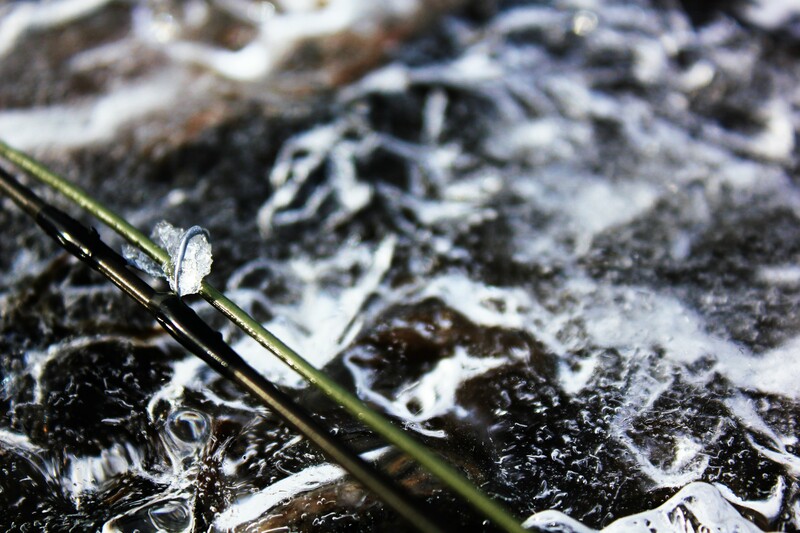 We have a hot tip about some good winter fishing on the 'Root. Hopefully, it makes for some good footage as it has been too long since YGF put out a video. Damn you Holidays (Shakes Angry Fist) !!!! Those are great photos. So do you prefer the head mount? I really haven't played with it that much. I think I will make a point to use it this weekend. I've got to different outings planned. I think I stayed away form it because I thought the mount would be too loose on my skinny head. i can't speak to your skinny head, but i prefer the head mount. to me, it is more versatile and "agile." I can take it on and off with the greatest of ease. What's the story on the rod breakage? And DNash, I needs to talk to you about The Project. :) I'll try to email you this week. I found the Fiskjerks link from here. That is hysterical! Thanks Yukon. Did you guys check out Mitchell at all? no trip to mitchell this time around. saw where it "originates" but, didn't fish it. want to walk up from the bottom some time this winter. Owl - rod still broken, but useable. so i use it. admittedly that is pretty small water. @mark - fishjerks is amazing. @mtflyfishguide - checked out the high end, while looking through the diversion structure. They have totally messed with the riverbed there in an apparent attempt to divert more water to the Slough...?